I thought that it would apt, for my very first blog post, to give a gentle introduction to Arfon Consulting Ltd, the choice behind the name and the services and expert support it can offer Public Sector and Government clients throughout the European Union/EEA space. Firstly the name “Arfon”. 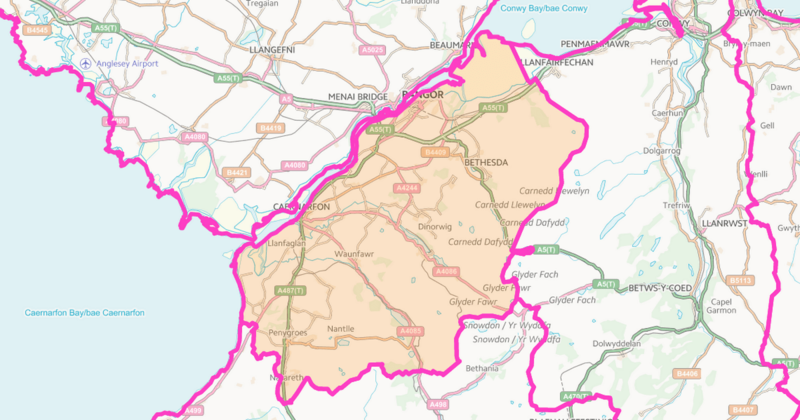 As well as being a popular Welsh boys name (aptly, the name means “across from [the Isle of] Anglesey“), it also perhaps most well known – in political circles at least – as the name given to one of Wales’ 40 United Kingdom Parliamentary constituencies. Without wishing to cause any undue confusion, I chose the name “Arfon” for my company (even though it’s registered and domiciled in Scotland) as I spent my formative years living both on Ynys Mon (the Isle of Anglesey in English) and in Penrhosgarnedd, on the outskirts of the University town of Bangor attending Ysgol Friars school. Despite having left the area in the early 90s for University, work and marriage, my family roots in North West Wales (Gwynedd) stretch back more then a century and therefore it seemed entirely appropriate to name the company as I did. The North Walian theme carries over to the company logo reflecting, as it does, Arfon’s hosting of the Snowdonia National Park and England and Wales’ highest mountain peak, Snowdonia (or Eryri in the Welsh language) rising 1,085 metres about sea level to dominate the rugged landscape about it. The creative effort behind the choice of name and corporate identity was a conscious choice to reflect the reality of a specialised interim management economic design consultancy based in the rural peripherality of North East Scotland, yet with a outward looking European wide focus on many of the complexities facing public authorities when seeking to award public contracts or to provide public funds to meet stated policy objectives without inadvertently failing to respect the rules, regulations and requirements of EU, National and Regional legislation, Case Law and Guidance. Tomorrow’s post will focus a bit more on the services that Arfon can offer its public setor clients and a (brief!) biographical look at the firm’s founder and Managing Director, Alun Williams MPA. Next What can Arfon do for you?